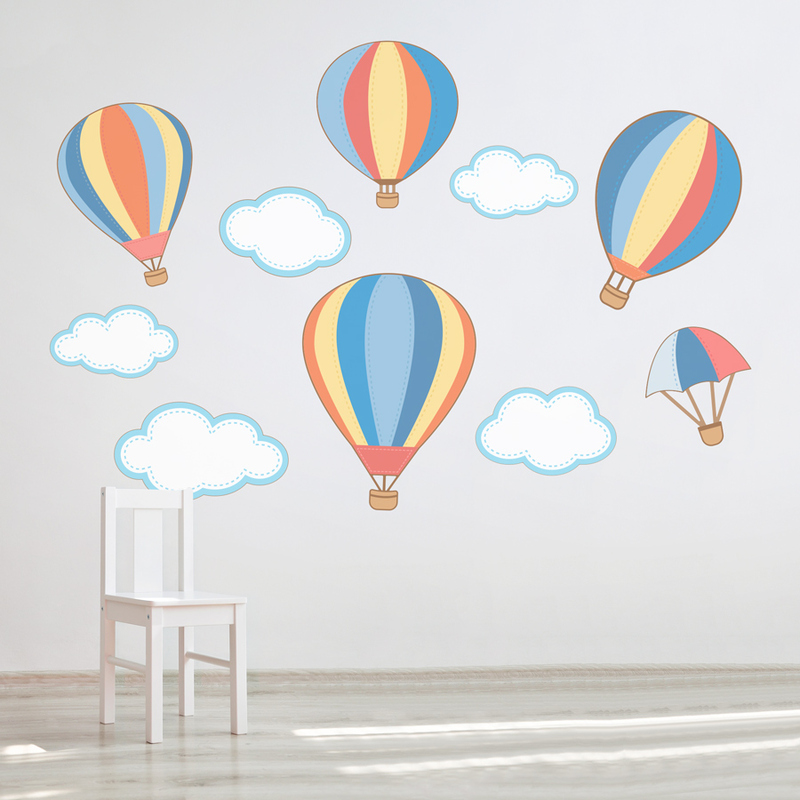 Fly high with our hot air balloon wall decals. 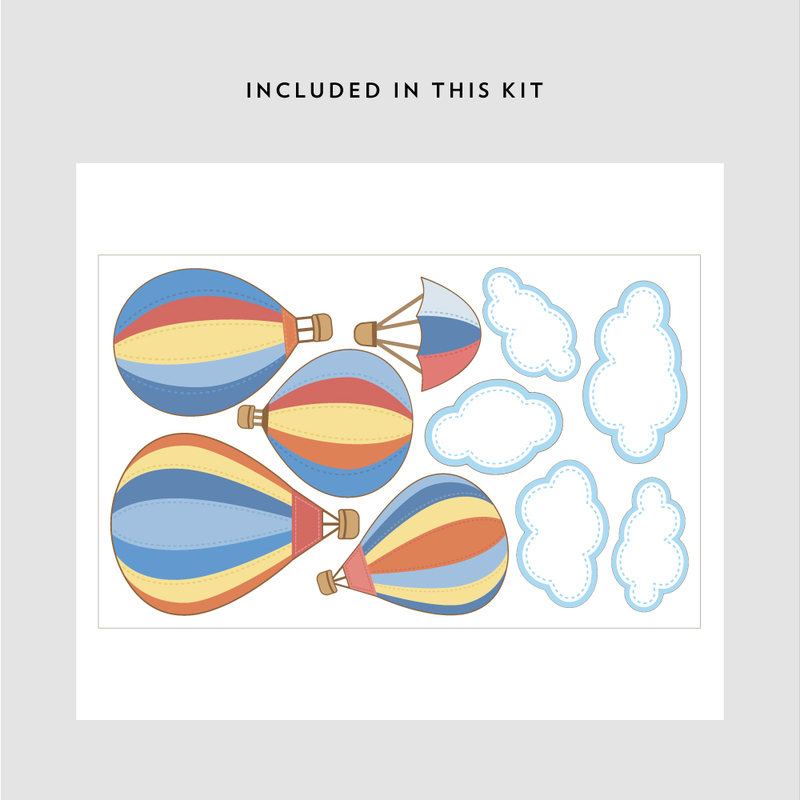 Each kit comes with 4 balloons, a parachute, and 5 fluffy clouds. 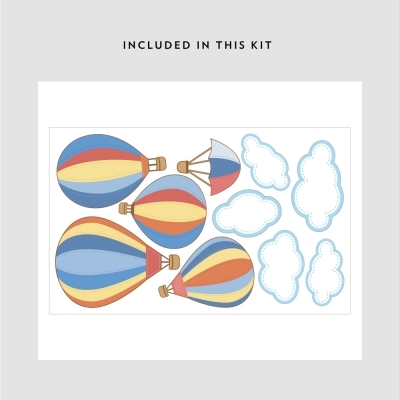 These hot air balloon nursery wall stickers are available in 2 sizes. Sheet size - 51" wide x 47"